The following is the first installment of a new series of editorials which will communicate portions of my recent trip to the Chernobyl nuclear power plant. As we approach the 30th anniversary in 2016, each installment will focus around one area of the Chernobyl experience. I will incorporate first-hand experience, on-site data, and a handful of the thousands of images I captured during my visit. Sadly I won’t be able to fully communicate all of the details of the trip in these editorials, but it will be an intensive introduction into the Chernobyl experience and I hope to continue to put out other experiences in future commentary, presentations, and analysis that will help fully demonstrate what all I learned and experienced. 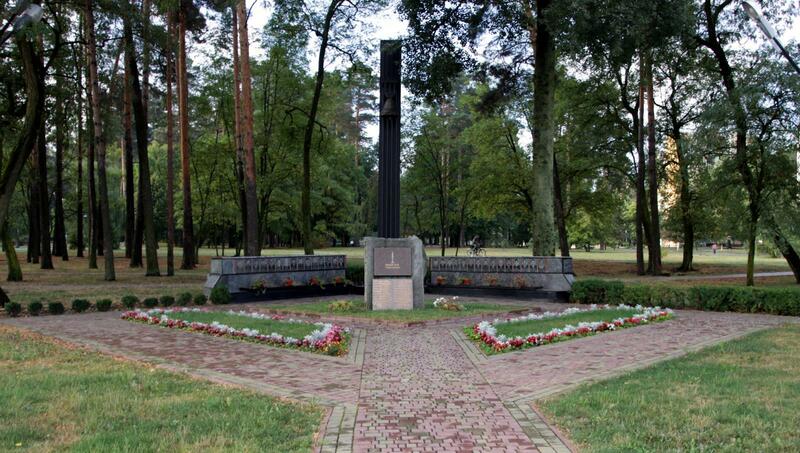 An image of the memorial at the Chernobyl nuclear power plant with the Unit 4 Sarcophagus in the background. In the beginning of September 2015, I had the rare opportunity to attend a first-of-its-kind program hosted by the Chernobyl nuclear power plant. 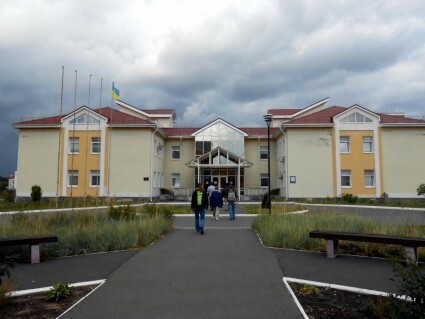 With eleven other participants, most from the United States, I departed Kiev on the 6th for Slavutich – the last Soviet town constructed which was designed for evacuees from Pripyat and workers at the Chernobyl nuclear power plant and now boasts some 35,000 residents. The site where Slavutich was constructed was selected because of its proximity to the nuclear power plant and the fact that it was less-affected by the radiation released from the Chernobyl nuclear disaster than other surrounding areas. I carried a very sensitive CsI radiation detector through the beautiful cobblestone sidewalks which run through the city and never saw a radiation level above the same background levels that I would see back in the United States. The entrance to the Hotel Slavutich where we stayed. 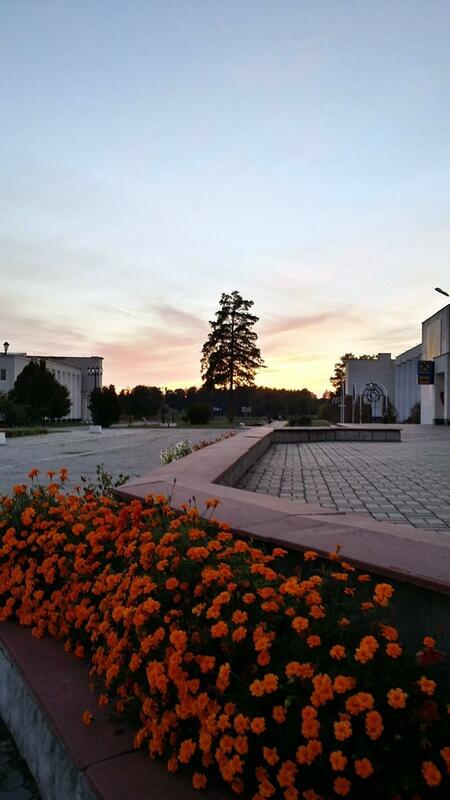 The city of Slavutich is beautiful – with plenty of parks and monuments (remembering both Chernobyl and World War II), the people are kind, the three main restaurants are open late, and the scenery can be breathtaking. 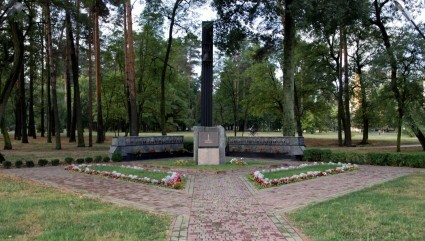 The memorial in Slavutich to remember those who died responding to the Chernobyl nuclear disaster. The memorial for Chernobyl is in the heart of the city and is comprised of three main components, a large metal column with a bell suspended 20 feet or so in the air, coming off the sides of the column are two marble walls with the faces of 30 of the first victims of the disaster are beautifully engraved into the rock, and finally a plaque standing in front of the column. People still leave flowers at the memorial throughout the year. 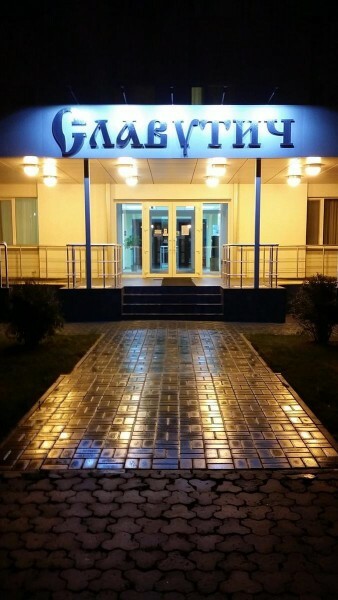 The Chernobyl Nuclear Power Plant training center in Slavutich.